Tonight the entire fam is out for a bit of miniature train fun — and free buffet, ha ha. 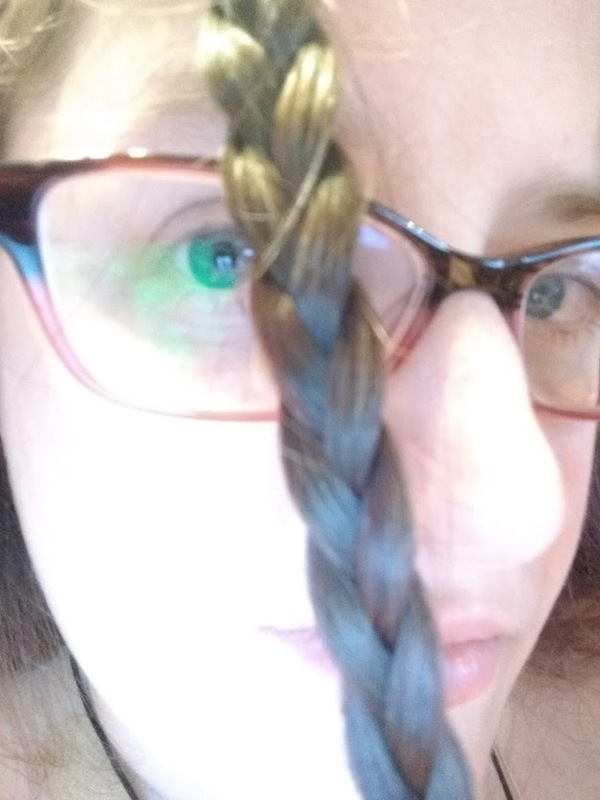 I figured I’d have a bit of fun with my hair, ’cause I can’t remember the last time I braided the front. It’s still pulled back and vaguely tidy rather than hanging loose, but now I have the option! Fancy! So yeah, there’s that. I’m hoping that the weekend is one of not moving, ’cause I need to rest up and save my spoons for next weekend. I’m very excited about the fete… which everyone probably picked up on by now, ha ha. Z brought my laminated signs home from work, so that’s another thing done. We still need to sit down and order a gazebo, which I guess is the last big thing. I of course need to keep making things to take, but if I were stuck with only what I have now, it would do alright. I plan on taking Friday off from work-work so I can futz around, and as there are only two June year ends to contend with, I can’t see how that would be a problem. I should also come hell or high water have some rainbow beads by then, so I can get more things made with them. I have a feeling that they’ll sell well, so. Right, wrapping up and getting my things together to go out. Have a great evening, y’all.